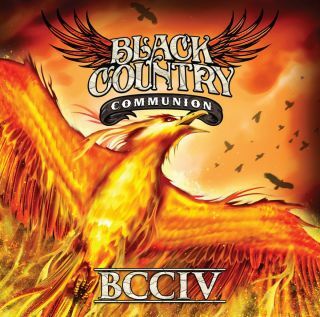 When the English-American hard rock group Black Country Communion announced reunion plans for 2017, it was clear to see fans were eager for another album based on comments posted to social media. "I love this band. Good to have them back." "Four geniuses." 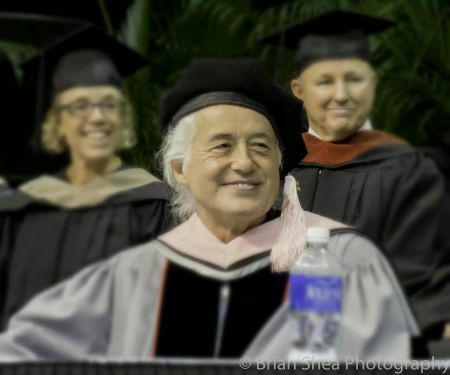 "...Thanks for everything you do for rock." There are times, when listening to a new record, that all that a music lover needs is just to press the "Play" button on his Hi-Fi and let the music flow. It's that magic that sadly happens very rarely nowadays, in modern music. This kind of magic is what fortunately happens in the new album of the Texan-born artist Jarrod Dickenson called Ready The Horses, a record whose musical tones and tinges travel in the air as light as feathers, thanks to Dickenson's artistry. Recorded live onto a 2 inches tape in what would be, in modern music terminology defined an old-fashioned way, Dickenson manages brilliantly to capture, in the 10 songs included in the album, the power and the depth of his voice and the intensity of his songwriting style. Steve Winwood has just saved the day. Global threats, natural disasters, doubts and divisions, have stressed many people around the world. Yet here comes WINWOOD/Greatest Hits Live. It's a beautiful opus. Harmonies, flute, sax, mandolin, guitar, Hammond B3 and textured percussion are fluidly orchestrated to deliver a full listening experience that will enrich the soul. Steve Winwood chose personal favorite live performances to honor his band and give the fans happy memories of prior shows. 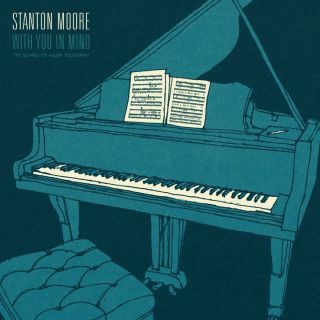 The album digs deep into the already vast collection that he has performed to universal music lovers for decades. Steve Winwood's music was always wise and transcendent. His live performances bring every song to a new horizon, as if you've heard them for the first time. Now you can bring this uplifting and muscially indulgent experience with you wherever you go. 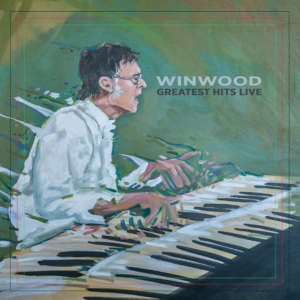 Listening to Winwood's selfless and passionate voice, with the warm tones created by the production masterpieces of the band, creates a cascade effect of hope and well being. 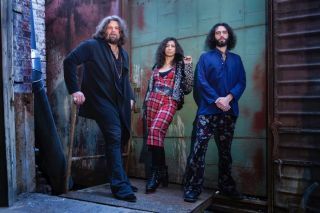 Winwood is embarking on an international tour this year. We are big Winwood fans and have covered his work several times. See his performance live and pick up this magnificent album. With a treasure of legendary artists and song gems, the journey of fresh perspectives has just begun. If there was an album title that would have explained in a better way the magic moment that the American artist Samantha Fish is living right now, no other title would have been better than Chills & Fever, Fish's brand new album. Two words that define perfectly the contagiously beautiful musical journey of the artist from Kansas City, Missouri, in an album that sees Fish taking a momentary step away from the Blues and Blues/Rock and embracing instead 60's and 70's vibes and atmospheres, all enriched by echoes of Northern Soul, R&B, Soul wonderfully executed by a performer at the peak of her artistry. 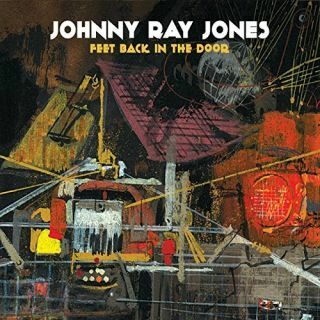 It's hard to understand what took so long for the California Blues artist Johnny Ray Jones to release his very first album, Feet Back In The Door. Jones, who has got one of the most solid musical background within the Blues and R&B genres, started this project more than two decades ago, when in 1995 he started working on the making of what would have then become Feet Back In The Door. The time must have not felt right for Jones, back then, despite having already four tracks completed and already recorded. Whatever happened from 1995 to present times certainly made well worth waiting for the singer/songwriter's debut album. Feet Back In The Door is a true musical feast, a sonic carousel where R&B, Soul, Americana and Blues walk hand in hand thanks to the deep, powerful and inspired vocal deliveries of the artist from Southern California. 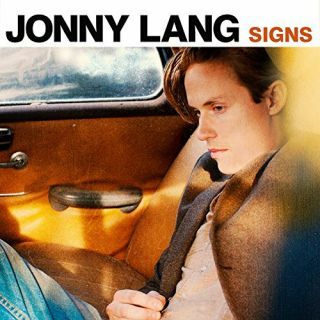 It is very refreshing, in this present time and age, to see an artist experimenting his music and take it to the next level as well as Jonny Lang does with his brand new album called Signs. Four years have gone since Lang's last album, Fight For My Soul, a collection of songs that, despite their quality, were not reflecting entirely Lang's musical vision and here we are, in 2017, with a new album that sees the American artist's music very much rejuvenated, reinvigorated and with a totally different and fresh approach to music than his last record. There is the full army of Lang's musicianship into Signs. The American guitarist and singer/songwriter explores in his own way and through his unique style, the roots of the blues and driving it forward, either in more rock, soul or even rootsy territories thanks not just to his phenomenal talent as a guitarist but also by displaying some of the best vocals heard on any Jonny Lang's album ever before. It's somehow still extraordinary that in a world that moves at the speed of light, where people or facts get easily forgotten in less than 48 hours, despite their importance or impact of any kind on the history of the world, someone of the caliber and talent like the Louisiana-born and drummer extraordinaire Stanton Moore still finds the time to pay respect, through the art form that defines him best, to a giant of world music and a personal friend. With a new album ready to be recorded, back in 2015 and with his fellow friends musician David Torkanowsky on keys and James Singleton on bass ready to enter the studio to start the recording sessions, the news that one of Moore's long time friends and worldwide music icon, the late great Allen Toussaint, had passed unexpectedly away it really hit deeply the drummer, who had known and worked with Toussaint for quite some time.